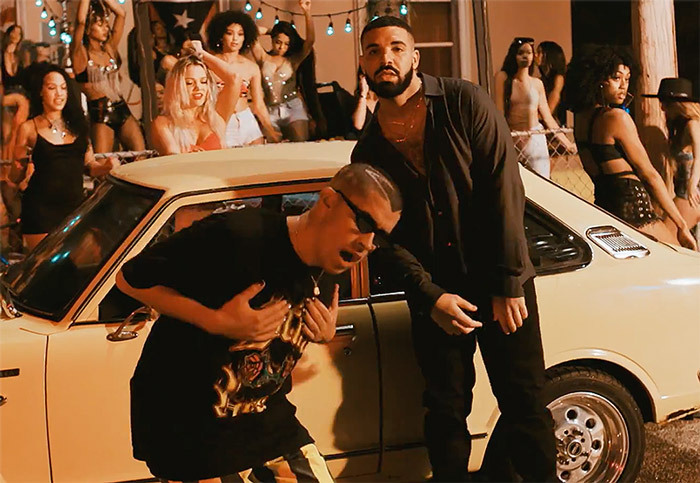 Home / Drake / VIDEOS / Video: Bad Bunny Feat. Drake "MIA"
Video: Bad Bunny Feat. Drake "MIA"
Drake flexes his Spanish on Bad Bunny's new single MIA. The long-awaited collaboration comes with an accompanying house party video, which finds the two posted outside with lots of beautiful women and drinks to go around.